Last summer I posted a link to the 2012 NPR Best books for Young Adults under this tab. Well, they were at it again and have published a new list. This year they didn't publish separate lists for each category though. They put all of their books into a database with different tags and made the whole list searchable, so the same book might be both Young Adult and a Staff Pick. It is a great list of books, I've read several and have put many more on my to-read shelf over on Goodreads since taking a look at this list. Check out the Young Adult filter and feel free to browse the categories at the left to find a book that fits your mood. I know I've touted the awesomeness of Pinterest other places on the blog, but I really do love it as a tool to keep all of my desires and longings in a handy place that is easy to search and see what it was I wanted. 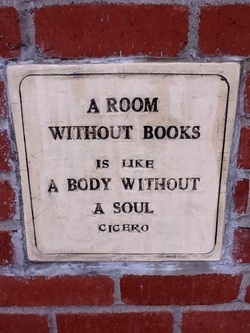 One of my favorite boards to stop by is Books Worth Reading. Here I have collected various resources in my ever present quest for more books (my husband and I currently have four 5-shelf bookcases - all full, two 3-shelf bookcases - all full, and several boxes of books without a home!). On the board you will find links to book lists created for many reasons. One based on all of the books Rory Gilmore from The Gilmore Girls ever mentioned on the show. There is one for books young girls should be introduced to before a certain age. If you have a favorite series, there is a good chance I have collected a pin for links to other series you might enjoy based on your interest in that one. No matter what you are looking for, individual books, book lists, quotations about books, I probably have something on the pin board for you. 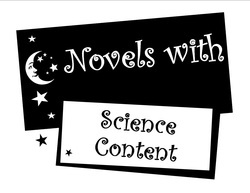 I was recently forwarded a tweet by @Mandery with a link to a great list of current Young Adult novels that include science related content. It is a great list of novels that the ladies at Unleashing Readers put together. The list includes close to 30 novels, many of which I have read or are on my too-read list! Covering the gambit from robotics to meteorology to medicine and so much more, there is something for everyone on the list. Some of my favorites are Ender's Game by Orson Scott Card (you should also check out the rest of the Ender series), set in a futuristic society where a young boy goes to flight school to learn to save the world. Uglies by Scott Westerfield, another great series, unveils a story about a society that transforms you on your 16th birthday from an Ugly to a Pretty, really just a way for those in charge to control the underlings of society. Kristen Chandler's Girls Don't Fly tells the tale of a high school girl trying to write a winning research proposal and figure out how to pay her own way into a summer science program on the Galapagos Islands. Check out the list of books and find something for you today! If you are constantly trying to remember what that book was that you wanted to read, but can't remember the title or what it was about, then Goodreads is the solution for you. Goodreads is a social networking site centered around keeping tracks of the books you want to read, have read, and should read. It also allows you to connect with friends old and new on the site as well as follow authors using the tool. Once you have read and rated (on a scale of 1-5) a number of books, the site will start making suggestions for you based on the type of books you have read and the categories you have selected as some of your favorites. The site allows you see what others are reading, create widgets to put on other sites of what you are reading (see the widget to the right and the example on my About Me page. Right now, one of my favorite parts about Goodreads is the First Reads program. Publishers and authors host giveaways for some of their books that you can sign up for at no cost. While a rating and review of the book is not required it is suggested as a thank you for getting the book for free. I was just notified this morning that I received the book Little Red Lies by Julie Johnston, can't wait for it to come in the mail. NPR had over 75,000 listeners vote last year on their favorite young adult novels. The response was astounding and they have compiled the top 100 responses. I haven't read all of them, or even heard of a couple, but many are some of my favorites or on a to-read list. Some novels are the classics that have been read in classrooms for decades and some are newer novels or series that are taking the nation by storm. I challenge you to pick something off the list, maybe something that you would not normally read. I know I will be checking out the books on the lists that I haven't read yet. Check out this page for Rachel's latest links to new book lists published by other or her favorite reads for classroom or individual reading.